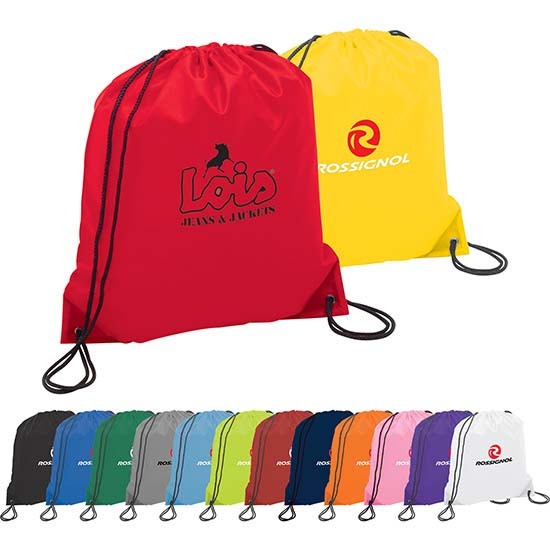 Polyester drawstring bags give you the ability to promote your brand in a trendy way that is sure to appeal to your demographic while also giving you a well-made and durable promotional tool that your customers can use again and again. Constructed from 210D polyester and outfitted with reinforced corner tabs our recycled bags can hang in there for long-term. The drawstring design is not only comfortable to wear, but it easily secures items within the bag while also allowing for easy access. Utilizing recycled content is an eco-friendly way to market your brand because it gives a new use and new function to materials that would otherwise take up space in a landfill. When you choose to promote your brand with a reusable drawstring bag constructed from recycled material you are showing your customers that your brand is proactive concerning environmental issues and you are serious about promoting causes you believe in. 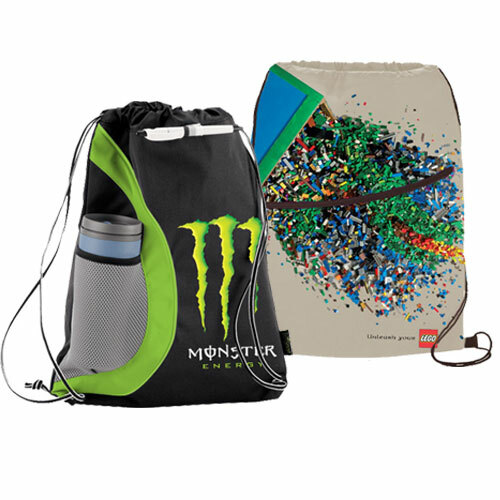 Choose from a wide assortment of colors for both the material and the slogans, messages and graphics you choose to have printed on the bag. 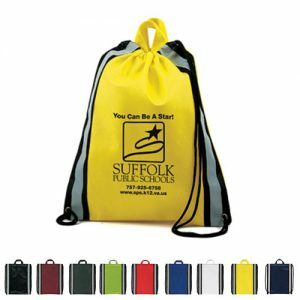 One color, one location printing is included, but you can also take advantage of full color printing or reach out to our design team to further customize your recycled drawstring bag for a green and unique marketing tool.